Erica Stein, a life-long New Yorker, faces financial problems, she is forced to move out of her SoHo loft and retreat to a sleepy little town in upstate New York. Before she even has a chance to fully unpack and settle into her new surroundings, Chris Landis knocks on her door. Handsome and charismatic, he is twelve years her junior and married with three sons. While Erica had been living a bohemian life in the center of New York's art world, and had traveled all over the globe, he had been at home raising his family, or so she thinks. Erica is cocky and full of herself, certain that she is above it all, but she has no idea that Chris Landis is going to teach her more about life, and seduction, than she ever imagined there was to know. Roberta Seligman was a poet and documentary movie maker before turning to full time writing. Her poetry has been published in small press magazines. Soldier's Heart, a movie she made about her father, has won many awards, and has been aired on PBS stations nationally and the BBC in Great Britain. 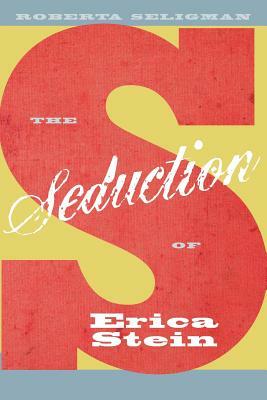 The Seduction of Erica Stein is her first novel, and the first installment in The Erica Stein Trilogy.